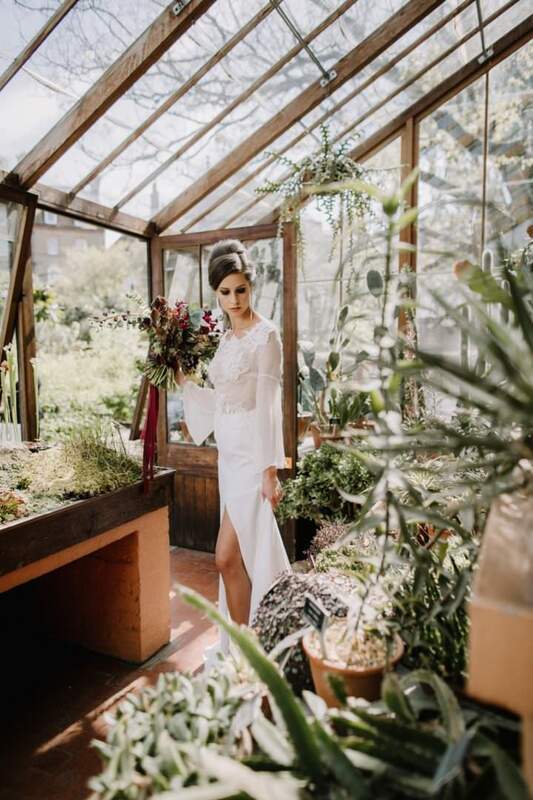 Chelsea Physic Garden is an incredible space – a real oasis nestled by the river in the heart of London. 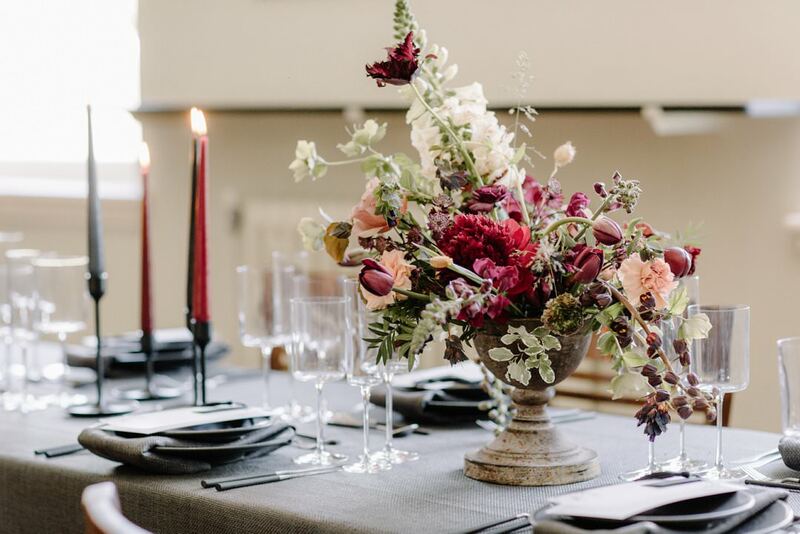 Steeped in history as the oldest botanic garden in London, its 5,000 species of medicinal, herbal and edible plants are a feast for the senses. 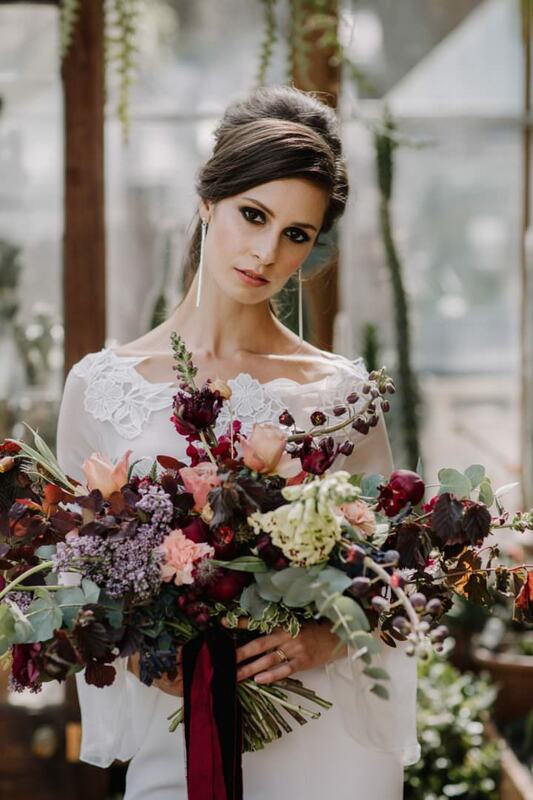 It made the perfect location for an intensely textural and atmospheric shoot, and with Rebecca Goddard behind the camera; I knew we were in for some beautifully artistic images. 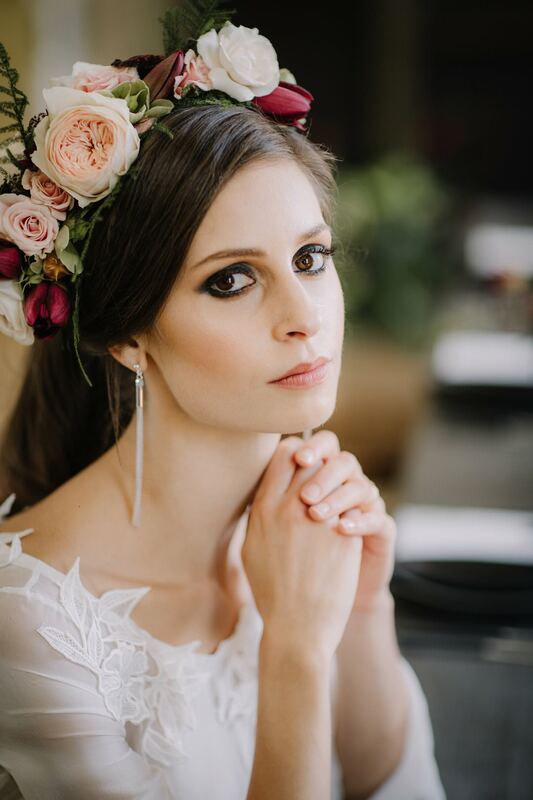 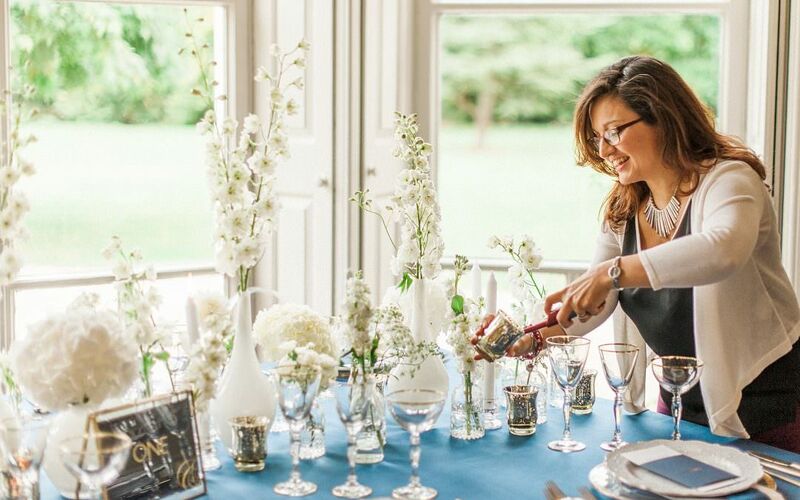 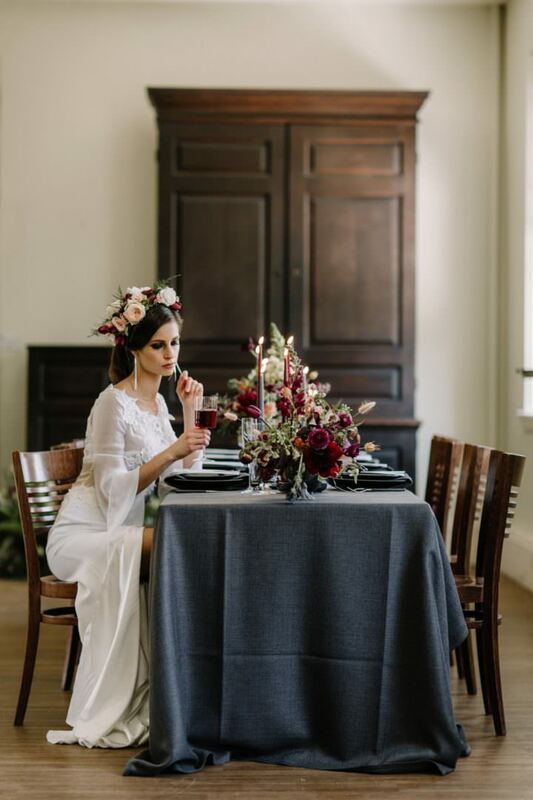 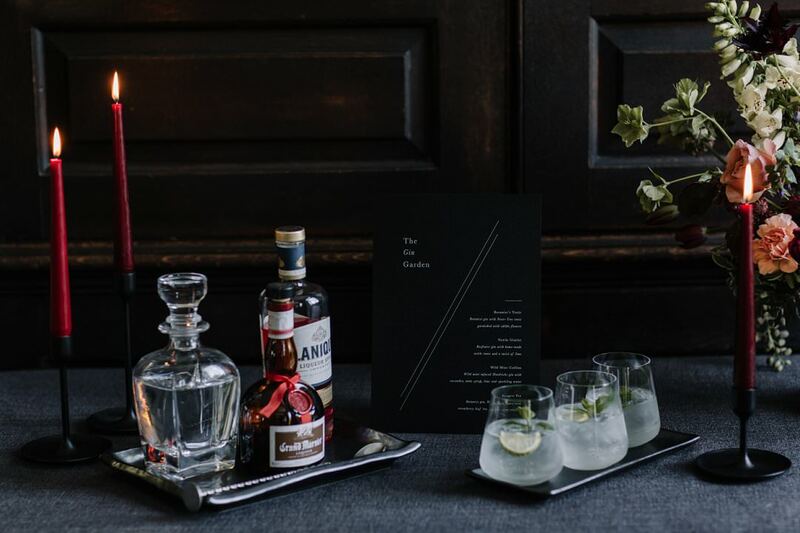 A wedding day isn’t only about what you can see, and for this atmospheric wedding inspiration styled shoot we wanted to create a sensual, tactile experience. 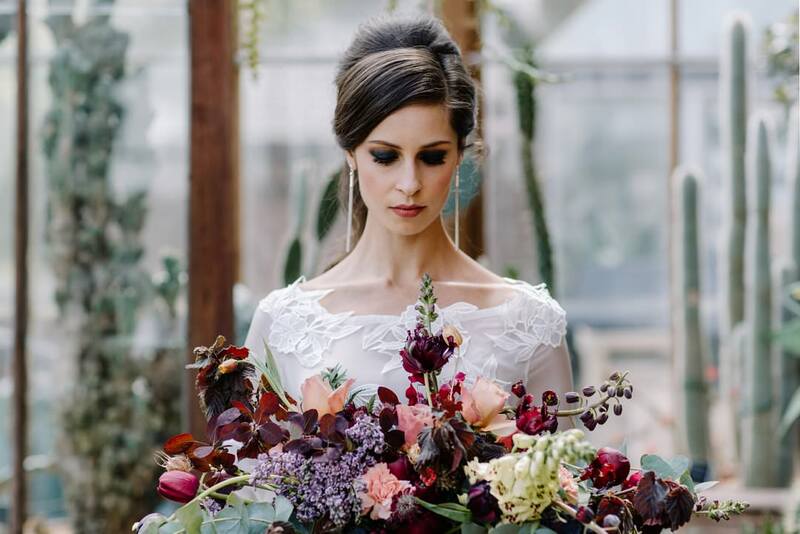 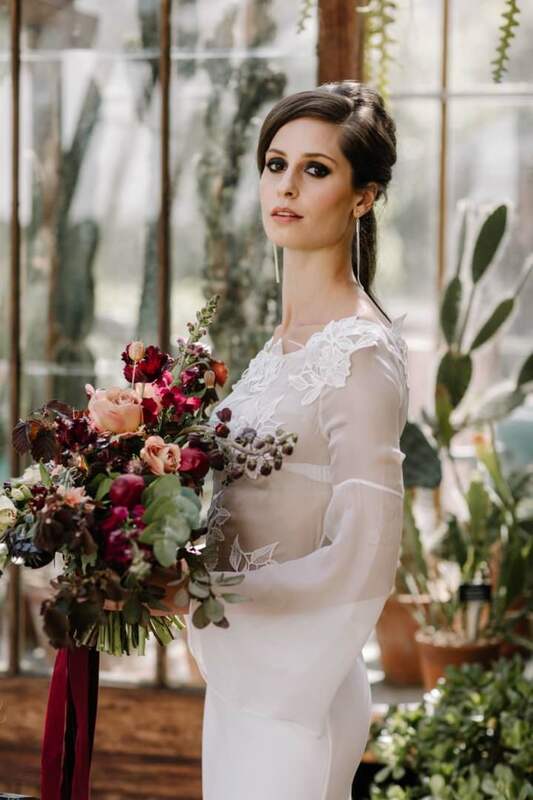 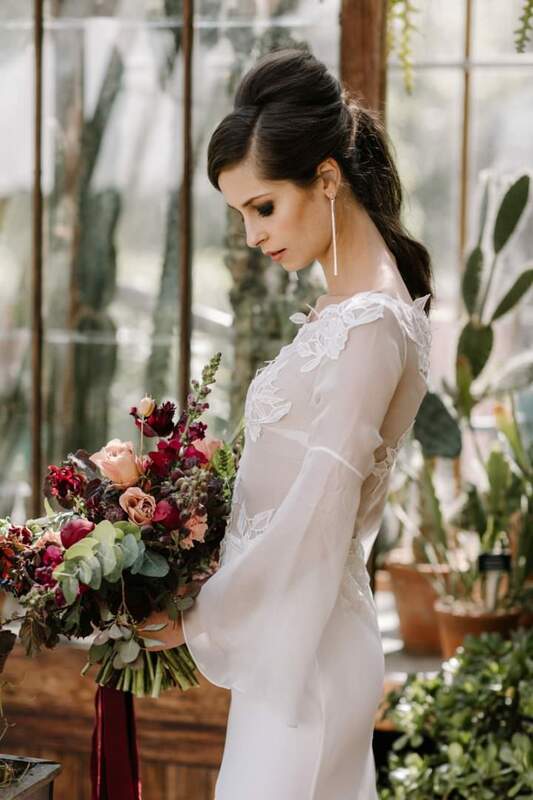 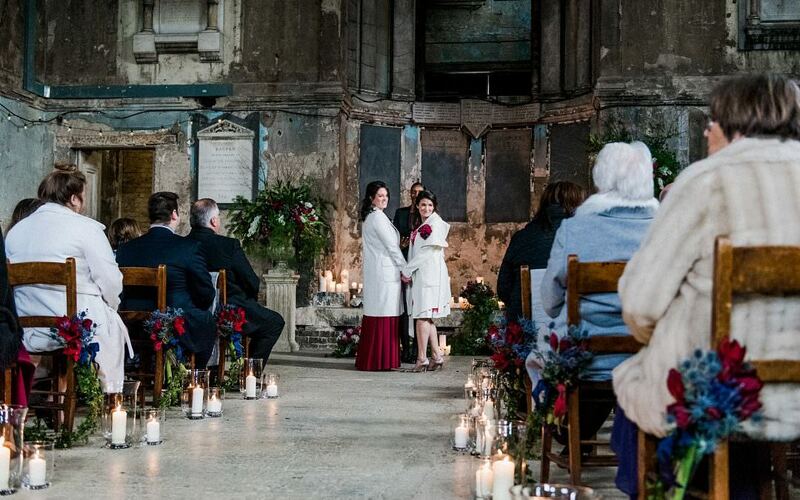 From the whisper of silk across the shoulder of the gown by Kate Edmondson, to the puddles of sunlight through the roof of the greenhouse and the sculptural depth of the bouquet by Bloomologie, everything was carefully considered for its physicality. 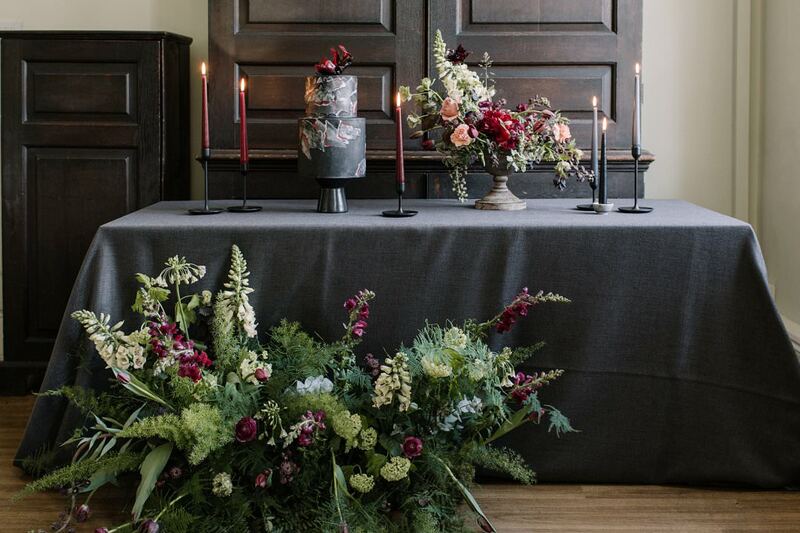 The gardens were filled with colour, but inside, we wanted to take things a little bit darker and richer. 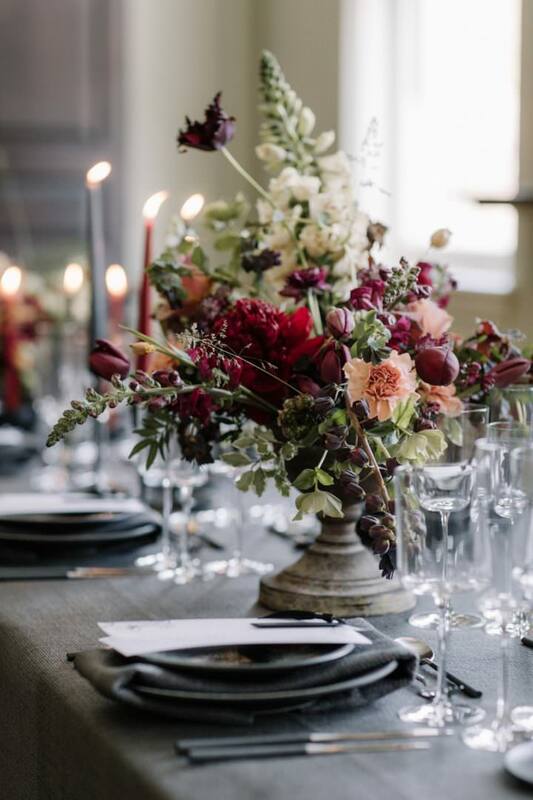 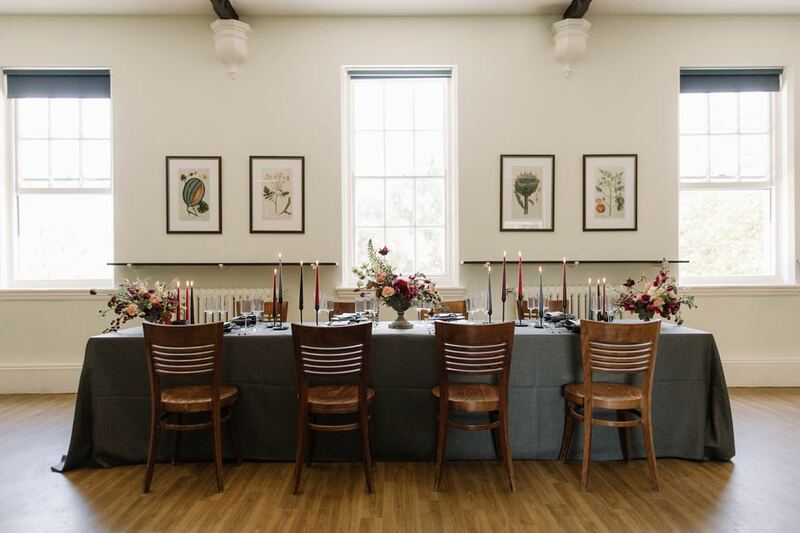 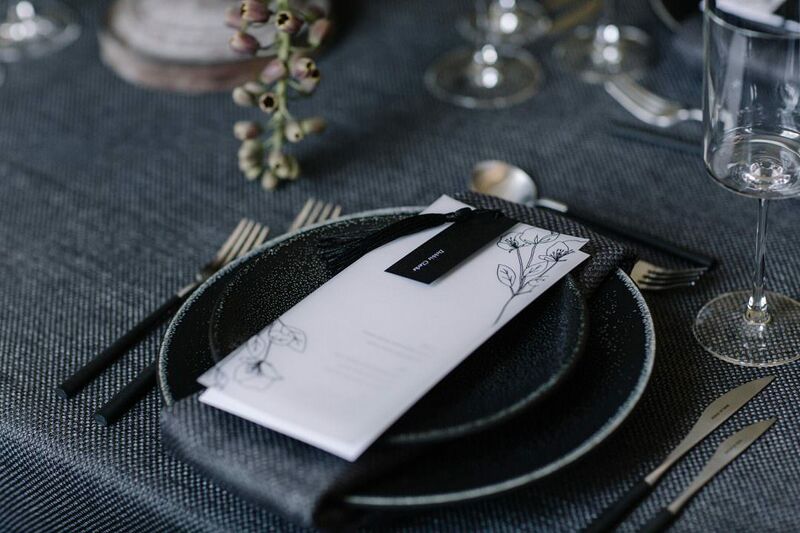 The dark grey linen from Just 4 Linen gave a sophisticated contrast to the wine red of the flowers and taper candles, and I chose sleek black crockery and narrow, contemporary glassware from Classic Crockery to keep the lines clean and sharp. 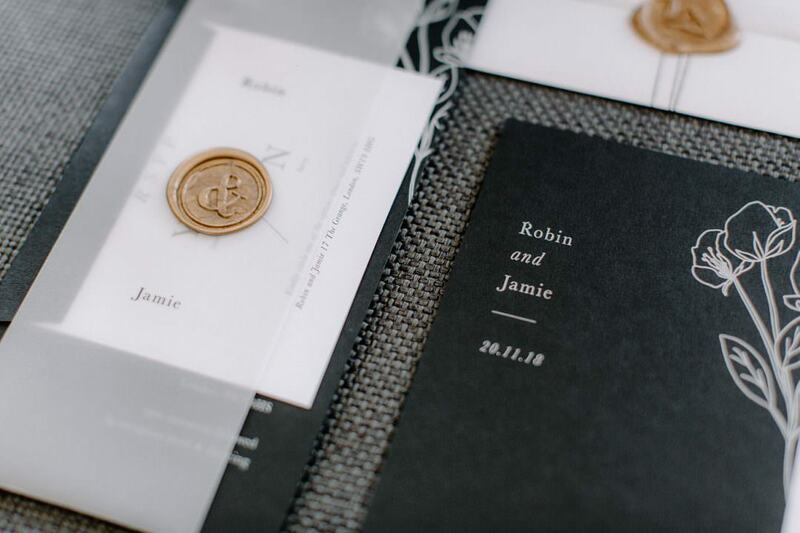 The focus on the experiential and multi sensory was carried through in the stationery from Nat’s Paper Studio, with a juxtaposition of smooth, modern vellum and embossed wax seals in antique gold. 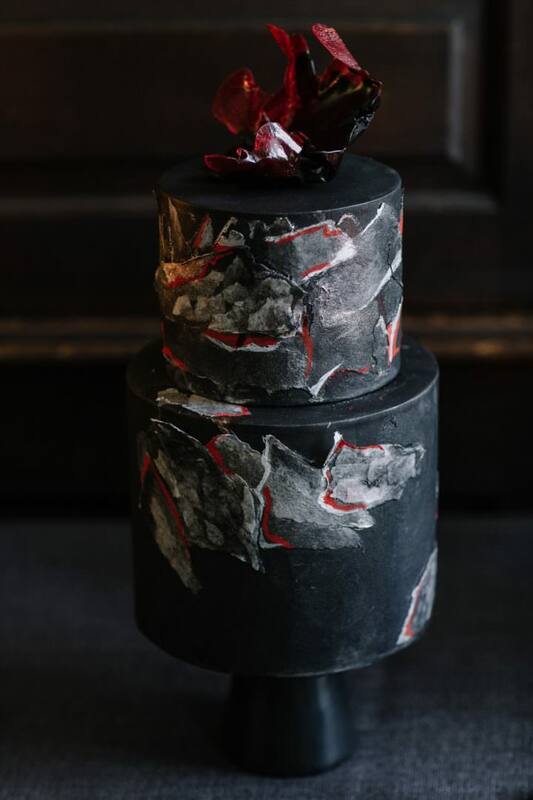 Megan at Blossom and Crumb provided a stunning cake that brought interest and contrast all of its own. 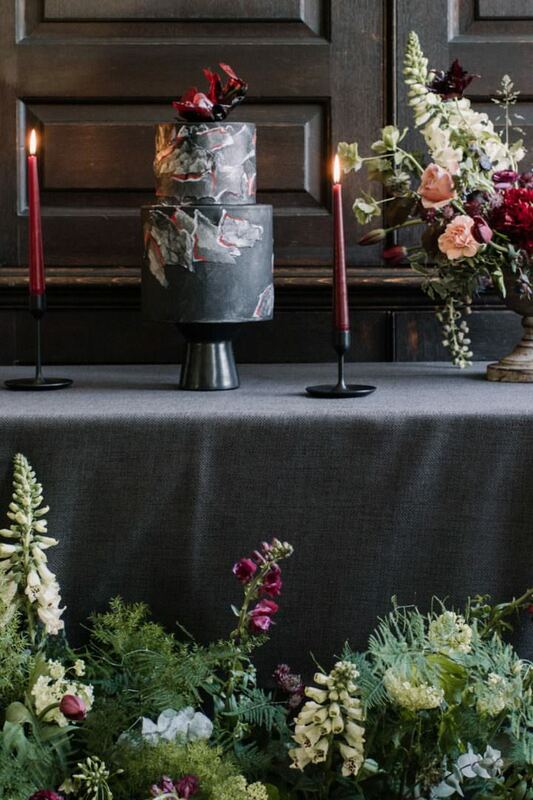 I loved the bold of the black and the smooth lines coupled with the grey and red concrete detailing. 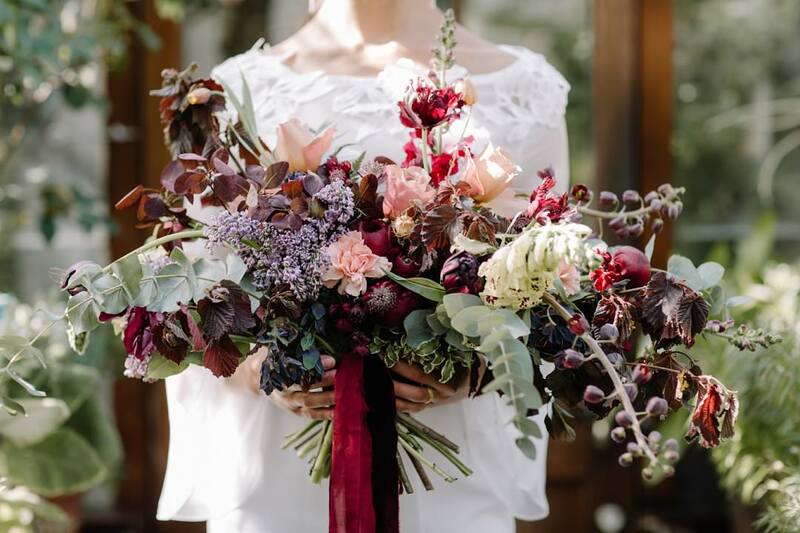 The overall effect was a blend of the urban and the organic – as if bright seams of red were pushing up through old slate and stone. 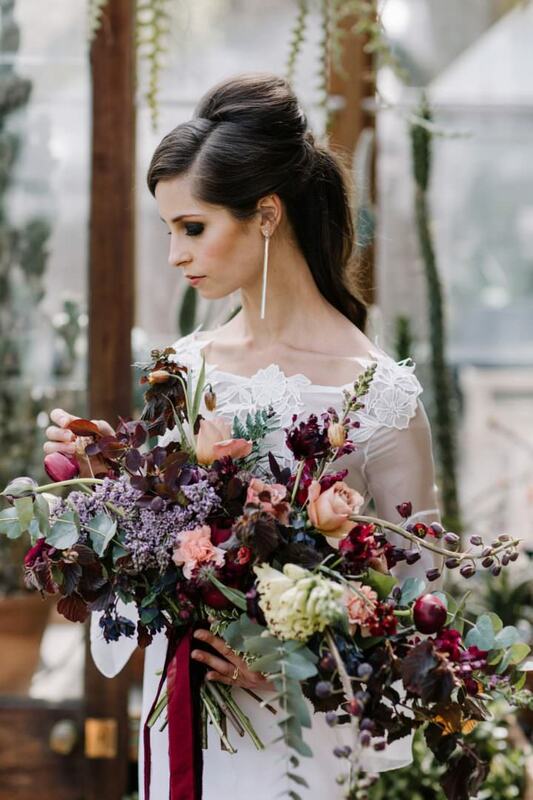 This atmospheric wedding inspiration shoot was also featured on US wedding inspiration blog Hey Wedding Lady, do take a look here.